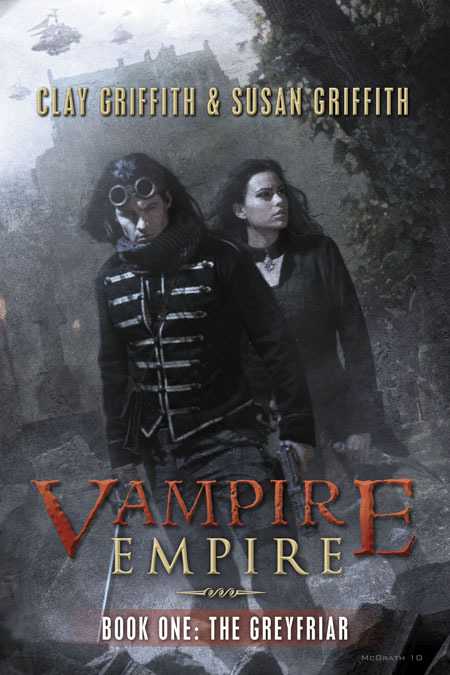 Through the generousity of Pyr Books I have 2 Steampunk prize packs. Each contains: The Strange Affair of Spring Heeled Jack by Mark Hodder; The Greyfriar (Vampire Empire, 1) by Clay & Susan Griffith; The Horns of Ruin by Tim Akers; and The Buntline Special by Mike Resnick. This is a great assortment of books and gorgeous to boot. 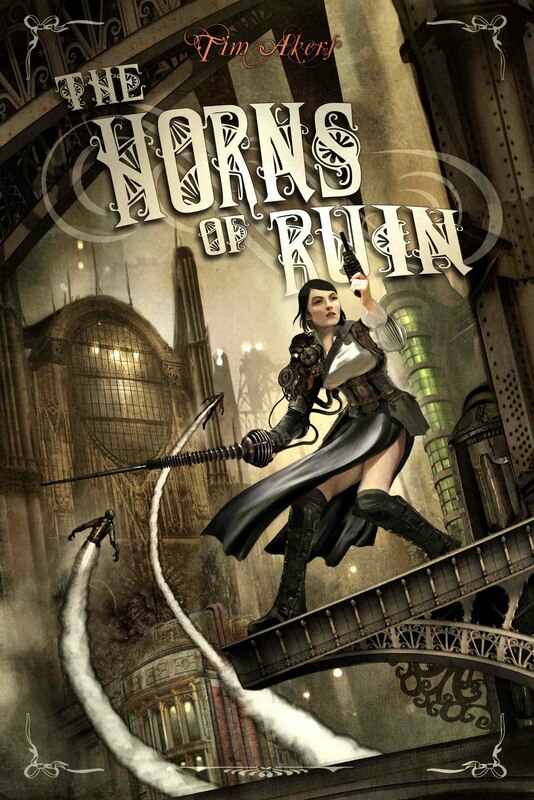 I've already read The Horns of Ruin and it is even more action packed than Akers's first effort. I'm a few chapters into The Strange Affair of Spring Heeled Jack and loving every page so far. To enter send an email to madhatterreview (AT) gmail (dot) com with "PYR STEAM" in the subject line and your full name and snail mail address as a message. The deadline is midnight October 16th. I'll announce the winner on the following day or as soon as I remember. This contest is open only to people in United States. If you send multiple entries you will be disqualified from the contest. Since The Buntline Express is a December release the prizes will not be sent out until it is available, but this will give you plenty of Christmas time reading. Keeping checking back in all this month for more Steampunk goodness. 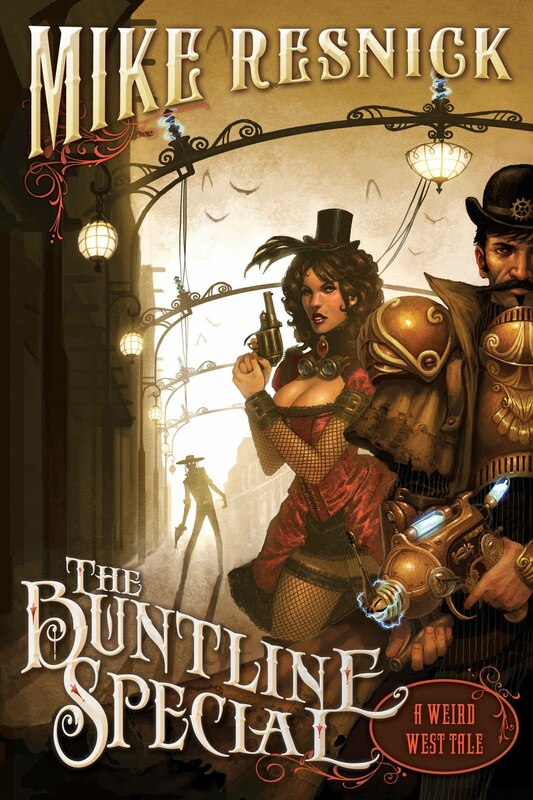 And if you haven't read Mark Hodder's essay on the appeal of Steampunk please do. It sets the tone quite nicely for what is to come. More giveaways are a foot as well. "This contest is open people in United States." So is it only open to people in the United States? Your wording, quoted above, was a little unclear but that's what I assumed you meant by that sentence. Yup, open to only US residents. Post has been correct. A flat tire this morning kinda took all my steam out. Great giveaway. Unfortunately I can't take part because I don't live in US. 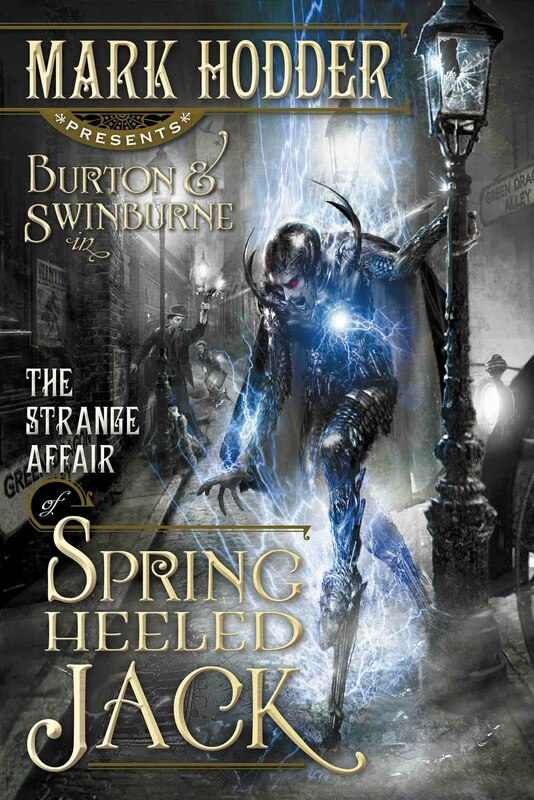 Fortunately I read the UK edition of THE STRANGE AFFAIR OF SPRING HEELED JACK which is an intelligent, terrific, magnificent and fulminating hooray into the world of steampunk novels. The other three books I ordered in advance. Nice. I don't enter these because I get so much as it is. But this is a great collection. I'm sending you an e-mail!